Brighten up your summer accessories with the S'well bikini pink water bottle. Crafted from stainless steel the bottle is designed to keep your cold drink chilled for up to twenty-four hours and your hot drinks hot for up to twelve hours. 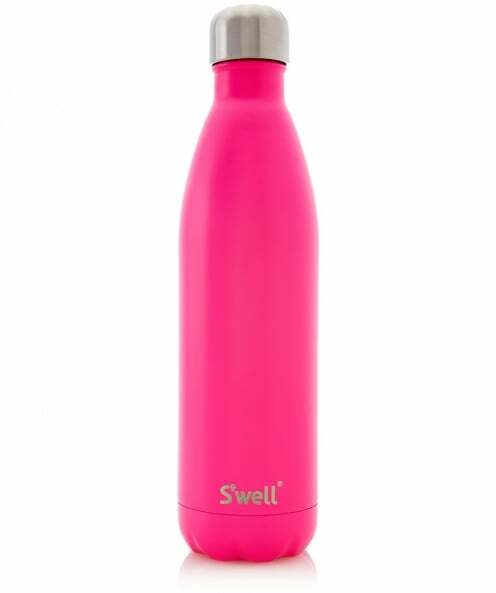 Double walled and sealed with a vacuum lid, this S'well bottle is a bold option to update your beach or gym bag.